Roxtec cable transit frames provide rectangular and round sealing frames for cables and pipes ensuring safety, efficiency and long-term operational reliability. Roxtec cable seals and pipe transit seals and protects against fire, gas, water, dusts, pests, blast load and electromagnetic interference. T&D UK can provide nationwide site surveys to assess your on-site requirement for Roxtec cable and pipe sealing transit frames. Roxtec sealing solutions for cables and pipes ensure safety, efficiency and long term operational reliability. Multidiameter - the Roxtec cable transit solution is based on rubber modules with removable layers allowing for a perfect seal regardless of the cable or pipe outside diameter. Roxtec transit modules simplify design, speeds up cable transit installation with built-in spare capacity for future cable or pipe project upgrades. Protection - the Roxtec cable transit solution protects against risks caused by fire, gas, water, dust, pests, blast load and electromagnetic interference. Service - the Roxtec cable transit solution provides optimum cable and pipe sealing via the Roxtec Transit Manager software - local installation training is available nationwide. T&D are approved distributors for the Roxtec range of cable and pipe sealing systems providing optimum cable and pipe transit sealing solutions to suit individual project requirements. We provide site surveys, transit solution designs, prototypes based upon design brief and specification, installation services for Roxtec cable transit systems. 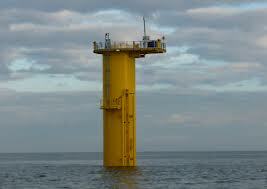 Roxtec has completed its largest contract to date in the UK offshore oil and gas sector. Roxtec cable seals are to be utilized on an undisclosed project in one of the biggest oil fields in the Central North Sea. Roxtec's extensive experience and expertise in the global offshore sector helped it win the work on the massive project. The cable entry seals will be used to protect electrical and instrumentation equipment against fire, blast and water in the main platforms and the living quarters. "We respond to the needs of a client as they arise," says Roxtec UK's managing director Graham O'Hare. "The beauty of the offshore approved Roxtec cable seal is that it can adapt to different cable and pipe sizes slashing down on engineering costs and work hours. This is a multi-national engineering project with production taking place around the world. From our UK office we were able to draw on the skills of our offices around the world to deliver expertise on the ground in Europe and the Middle East." Roxtec UK has agreed a major deal with specialist crane manufacturer Granada Material Handling (GMH) for work on the Gwynt y Mor offshore wind farm, which is under construction off the North Wales coast. Two Roxtec seal kits will be installed on each one of the 164 Granada Python Foundation Cranes - sealing multi-cable transit openings and thereby protecting the equipment. The cranes will be installed on the foundation piece of the wind turbines and be used to load and unload materials and equipment. Cables will be sealed using Roxtec's stainless steel R-100 complete with a modified sleeve. "We have worked closely alongside the GMH design team to develop a solution to comply with all safety requirements and compliment the overall project. Roxtec product comes with an IP67 rating promising operational reliability - Roxtec offers protection from dust ingress and immersion in water between 15cm and 1m depth."